If every vehicle that gets produced is meant to perform, why do some do so better than others? Well, besides parts, manufacturing processes, and a few other things, it leaves the driver. Part of performance is also how long your car lasts. As a driver you want your car to live forever, yet the biggest deciding factor is your actions. If you want to see your car hit a quarter million miles and counting, use these tips to get there. If you're a fan of Shelby cars, then you're in luck. Two of Shelby's classics are making a comeback: the 1960s-spec Mustang and the Series 1 sports car. These two models are being reborn once more, but in limited numbers. Next year is going to be a year that many muscle car fans are looking forward to, especially if you're a Carroll Shelby fan. Back in January, Ford announced the release of the new Mustang Shelby GT500 set to hit the market sometime in 2019, but they didn't provide much else about the car. Ford had tweeted that the GT500 would possess an impressive projection of 700 plus horsepower, boasting that it would be the most "powerful street-legal production" that Ford has ever released. The original Shelby Mustang GT500 had a little under 400 ponies, making the 2019 remake almost twice as powerful. Three months later, Ford released the first glimpse at the beast itself with a cryptic photo of the front of the car. Dimly lit and overall lacking in major details, Ford left a lot of the car's aesthetics up to the imagination. However, the picture does show clean lines and a blacked-out grille displaying the iconic chrome Cobra insignia, along with the quintessential dual racing strips down the middle. All other details about the car are being withheld by Ford until the release date gets closer. Specifics such as supercharged or turbocharged, automatic or manual options, or if it will continue its cousin the Cobra's legacy of weighing significantly less than most racing cars and custom roadsters -- which can get up to 3,400 lbs -- are still unknown. While the 2019 Shelby Mustang GT500 might be on the shopping list for many car enthusiasts and Shelby die-hards, it will almost certainly be unobtainable for the vast majority. A brand new 2016 Ford Shelby Mustang GT350 base model with no options included can run you around 55k or more, so it isn't hard to speculate what the GT500 with might cost. While Ford might be releasing the remake for nostalgia purposes, the car will definitely be a performance driving machine made for both the road and track. The world of muscle cars holds their breath for the next year in suspense. Any car enthusiast can answer the question without hesitation: "If you could have any car, what would it be?" It's usually a car from a beloved childhood television show or film, or maybe they saw it cruising down Route 66 with the top down. It becomes a need and a desire to find that one car and to possess it. For a lot of people nowadays, that's becoming harder and harder to do. Most cars from the past century are getting tougher to find because they're just not out there anymore. If they are out there, they're probably in pretty bad shape or worse...too expensive. Try talking to any Shelby collector who's itching for an AC Cobra. A lot of the desirable classics, especially some of the rare muscle cars, are getting to the point of being unobtainable unless a 7 figure price tag is pocket change for you. Take for instance the legendary Shelby Cobra -- a genuine car from Carroll Shelby is almost impossible to come by anymore. The last original Shelby Cobra 427 Super Snake in existence sold for over $5 million in 2015. Even Shelby Mustangs and AC Cobras are becoming impossible to find or just too costly to consider. Fortunately there's a remedy for many of you. You can get a replica car kit for a fraction of the cost of the genuine thing have it look exactly like the originals. Many people opt for kits now for many reasons (especially Shelby Cobra kits). Obviously the prices of genuine rides are outrageous, while something like a Shelby Cobra kit car costs are easily feasible for most. Another reason people prefer kits is because their highly modifiable and generally don't hurt the value of the car. Any grease monkey could tell you that making "improvements" to an original is like watching someone light a stack of money on fire. Keeping the genuine classics stock is the only way to see a return on your investment. A kit car doesn't have to follow the same rules. Most companies will send you the "kit" that includes everything you'll need to build the car minus things like the engine or transmission. That's where customization get's underway. The Shelby Mustang GT 500 was advertised to manufacturers as having 335 horsepower (it was primarily to make insurance companies happy since the real hp was closer to 400), while yourShelby can have as many ponies under the hood as you can handle. It just comes down to what you decide you want. Some people have reservations when it comes to buying kit cars, but if you're one of the many who suffer from FCS (favorite car syndrome) then a kit car could be just what you need to get your dream car in the driveway. So don't let that AC Cobra or Mk4 get away, get a Shelby Cobra kit and start building. Born in Texas in 1923, Caroll Shelby was and is an inspiration to all car lovers out there on the road and track today. Shelby suffered from a heart valve leak by the age of 7, which caused many health complications throughout his life. This, however, did not stop him from turning his dreams into a reality. Before Shelby started racing professionally, cars were just a hobby of his. He only dreamed of building a racecar in his name someday. His dreams suddenly became more than just dreams in the early 1960s. He could not race anymore because of his heart condition, so he had time on his hands. And when he got word that the British AC ace model car would no longer be in production in England, he saw his chance. Being an entrepreneur, a spark ignited in him. Shelby realized that the light British car could be a perfect match for a powerful American V8 engine. This would be his first opportunity to construct a muscle car of his own. According to Hemmings, Shelby "contacted AC Cars and they sent him an engine-less body to his shop in California. With some help from Ford Motor Company and a small team of mechanics, the first Shelby Cobra was introduced in 1962." An estimated 654 small-block Cobras and 350 big-block Cobra's were built by Shelby from 1962 to 1968. But he did not stop there. He knew the Cobra had potential, and he then started working to improve the car. In 1964, Shelby started his plan for the Shelby Cobra 427. He put a huge engine in it, making it one of the fastest racecars of its time. It was unheard of to put such a powerful engine into such a light car, but that didn't stop Shelby. According to Hemmings, the car went from zero to 60 MPH in "just over 4 seconds," and from zero to 100 MPH in "[an] amazing 10.3 seconds." Calling this car impressive is an understatement. If you're a car lover with a racing hobby and are thinking to yourself that you want one of these, there's some unfortunate news. According to Road and Track, "there is only one genuine, original Shelby Cobra 427 left in the world, and it just sold for $5.1 million." You can probably find a replica out there, but we all know that it isn't the same. If you want to turn your hobby into a dream come true, remember the story of Carroll Shelby and know that you can. The Shelby Cobra is one of the most popular classic cars out there, and the history of its creator is just as rich as the car's own history. After winning the 24 Hours of Le Mans in 1959, Carroll Shelby began building race cars. In 1962, the Shelby Cobra, the world's fastest production car, was introduced. After the initial Cobra was introduced, many more models were designed, tailored towards those who loved the classic, face-paced lifestyle. This article is going to take a look at some of the most impressive, and expensive, Shelby Cobras sold at auction over the years. 1964 Shelby Cobra Roadster This CSX2281 Original alloy body 289 Cobra was auctioned in 2010 for $478,500. This car featured an older frame-off restoration in Wimbledon White with blue LeMans stripes, a chrome roll bar along with wire wheels. 1968 Shelby GT500 E Convertible With 408 cid/475hp, a V8 engine, and a 6-speed transmission, this classic car was auctioned in 2005 for $550,800. 1966 Shelby Cobra Roadster Auctioned at $594,000 in 2006, it has 427 cid/500hp, a V8 engine and a 4-speed transmission. It was restored with SC upgrades. 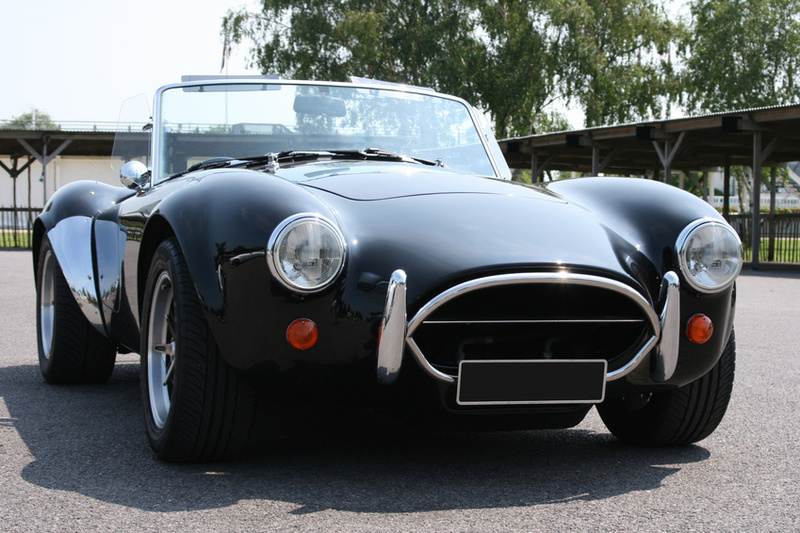 And while some roadsters can weigh up to 3,400 pounds, cobras are known for being much lighter. 2007 Shelby GT Fastback Serial No. 001 With a 4.6 Liter V8 engine, Shelby performance, suspension, and appearance upgrades, this car was auctioned in 2007 at $600,000. 1969 Shelby GT 500 Convertible This car was Carroll Shelby's personal 1969 GT500, so it's no surprise that it was auctioned for $715,000 in 2008. 1966 Shelby Cobra 427 Roadster This car was completed at AC Cars in September of 1966. After it was done, it was delivered to Ford Advanced Vehicles in England to be used at shows and track events. It was then auctioned in 2007 for $935,000. 1966 CSX 3015 This Super Snake Cobra is only one of two built and the one only built especially for Carroll Shelby. It was auctioned for $5.3 million in 2007. These cars truly are something special, and that's why they are so expensive. Luckily for us regular folk, Cobra replica kits exist. With a Cobra replica kit, you can own your own Shelby Cobra without breaking the bank. By building your own Shelby Cobra kit car, you'll have the opportunity to experience what performance driving is all about. Not only will you get a classic car of your own, but you can fully customize it to your personal tastes. The Shelby Cobra is an iconic classic car that has been appreciated for its powerful engine and ageless look since 1962. One of the most famous events in the car world was in 1964 when an AC Cobra Coupe reached 186 MPH. 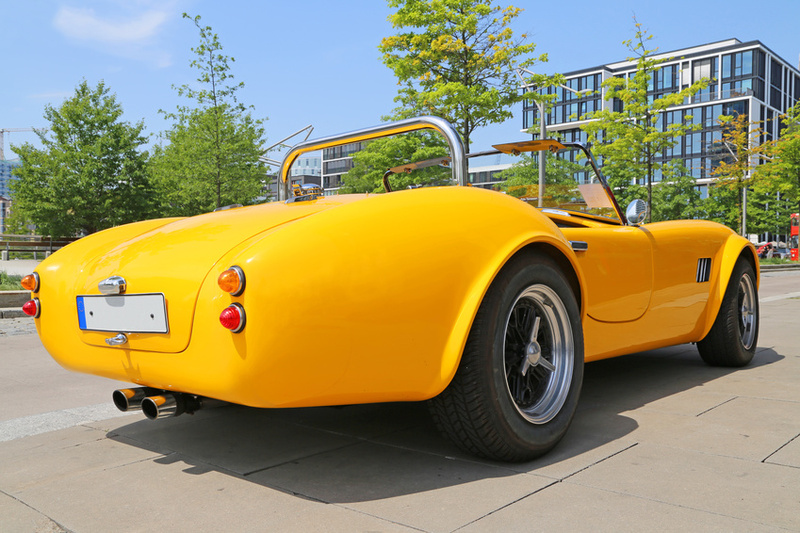 The classic design became so popular that many car enthusiasts chose to make their own using cobra kits. But one designer thinks that the Cobra could use a makeover. Benjamin Hogan, an artist from Boston, has rejuvenated the classic car with a crisp, futuristic look. While it still has the original two-seat, open-top design, most of the other classic features found in the original model are gone. None of the cobra kits used today are quite like this car. The new model features an open grille, LED headlights, and a front splitter so low it almost touches the ground. On either end of the fascia, two additional vents are located for additional cooling. 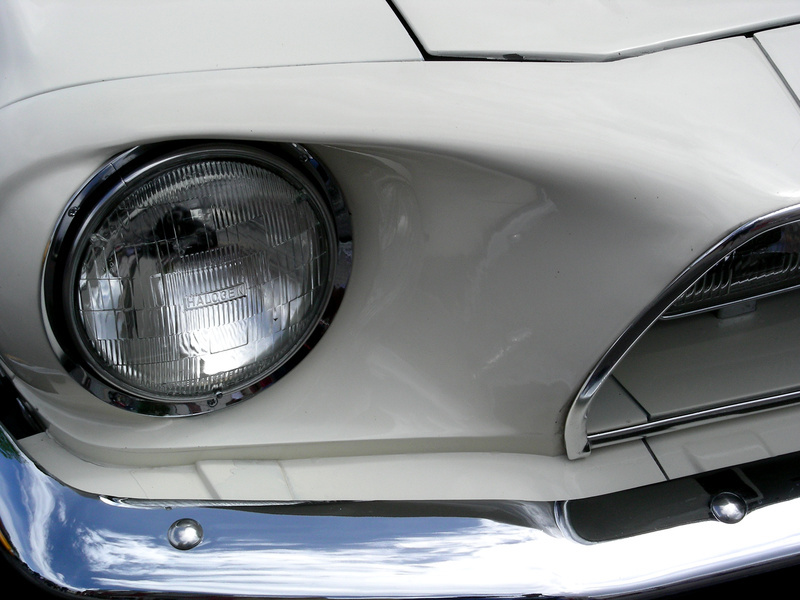 Like the rest of the body, the windshield is dramatically slanted and angled with sharp lines. The rear of the car includes two thin stips of LED for taillights along with centrally mounted dual exhaust tips, a retractable rear wing, and an aggressive diffuser. If this car wasn't mounted prominently on the five-spoke wheels, people might see this concept as something that came from Lamborghini or McLaren -- definitely not similar to today's cobra kits. Unfortunately, this is just a design as of right now. Shelby currently has no plans of reinventing the classic Cobra, but car enthusiasts can keep dreaming. But with the help of cobra kits, you can own your very own Shelby Cobra replica. 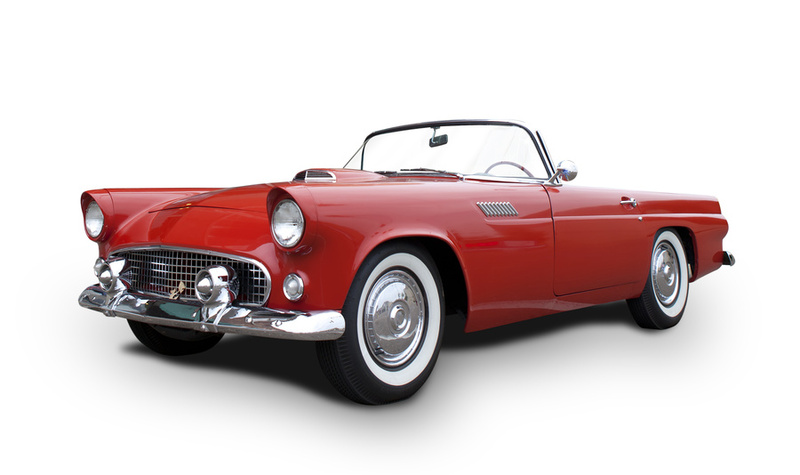 Classic cars are extremely valuable -- and also very expensive. The chances of purchasing a classic car are usually pretty slim for the average Joe. Luckily, replica cars have been around for decades and can be put together with a little time and patience. The first cobra replicas began showing up in the early 1970s. Since then, replicas have ranged from accurate duplicates to cars that barely look like cars. While cobra kits may sometimes not be the easiest to use, manufacturers around the world are available to help get necessary parts and assistance to those who want their own Cobra. The replica industry has improved drastically with the advancements in technology. Many replica companies use 3D printing technology in hand with CAD/CAM software. Technology not only makes the replicas more accurate, but also enhances the safety and durability. While Hogan's futuristic model may not be on the market, you can have your very own Shelby Cobra with the help of a cobra kit. Performance driving is one of the coolest hobbies around. Sitting in the driver seat and squealing your tires as you turn around bends at high speeds can feel exhilarating. Driving like this certainly isn’t for anybody, but if you’re one of the people who enjoy skillful driving as a hobby, you’re going to love it. And if you're new to the scene, here are a few tips you should keep in mind in order to drive like a professional. The type of vehicle you have is extremely important if you are serious about performance driving. You can’t really take turns at high speeds in a minivan, so you better make sure you’re driving the perfect car for the ride. You can even get replica car kits of your favorite muscle cars and take them on the road and track if they are sufficient enough. Among average races, there are short tracks, speedways, and super speedways that typically range from 0.5 to 2.5 miles long. Although you should eventually branch out on new roads and try a different race track to really perfect your performance driving skills, it’s best to practice on the same road and track while you're a beginner. It’s one thing to own a high-speed quality muscle car for performance driving, but it’s entirely another thing to have that vehicle functioning properly. If you’re in need of upgraded parts, vehicle maintenance, or any other items for your car in order to perform to the best of its ability, don’t even consider putting it off. Your safety is the most important aspect of driving and using quality parts and staying on top of auto maintenance and safety equipment is essential. You'll never improve as a driver if you don't take your muscle car out as often as possible. You have to get the feel for driving at all hours of the day, in various road conditions, and just put in some drive time. The phrase "practice makes perfect" doesn't just apply for athletics -- performance driving is a skill that requires disciplined training. To find out more about how to drive like a pro, contact Backdraft Racing. If you are a fan of race cars, you have probably heard of the SFI Foundation. Whether you saw the ranking when looking for a Shelby Cobra replica for sale or on the side of your muscle car kit. But unless you are a serious fan of performance driving, you might not be familiar with what the SFI is and what it does. In this post, we will explore the SFI so you have a better understanding of this important organization. With this info, you should be able to make more informed decisions when looking for a Cobra replica for sale. What is the SFI Foundation? The SFI Foundation is a nonprofit organization that guarantees products for aftermarket automobiles are compliant with safety standards. They seek to promote fairness in the racing and aftermarket industries. The provide certifications to ensure that equipment meets industry standards and provide specifications for equipment to ensure that other certifying bodies are able to accurately access the equipment used. SFI also examines driver gear, awarding ratings between 3-2A/1, which offers three seconds of protection, and 3-2A/20, which offers 40-seconds of protections. One of the primary metrics that they use is thermal protection performance, which is determined by how long the equipment can withstand extreme heat. What is the SFI's History? The SFI was originally part of the Speed Equipment Manufacturing Association, which was founded in 1963 in order to help address the catastrophic and occasionally fatal part failures that resulted from car racers pushing their equipment to the limits. Since the automobile, and specifically racing, was still relatively new at the time, SEMA had to work hard to keep up to date with all of the rapid advancements in racing technology. Additionally, the increased number of government restrictions meant that racers needed to comply with government safety requirements, too. To meet those needs, SEMA created the SEMA Foundation, Inc., or SFI. This organization was tasked with creating an industry spec program, which was in turn tasked with keeping clear records of the specifications, and limitations, of various parts. Eventually, the SFI spun off to become their own private organization, though they still provide the same services. This concludes our look into the SFI. If you are interested in racing, or simply looking for a Cobra replica kit as a hobby, it is important to keep the SFI rating and specifications in mind in order to avoid pushing your parts past their limits. During the age of muscle cars, the Shelby Cobra was virtually unstoppable. Equipped with Ford's 260 engine, the first model packed a huge punch, and subsequent models packed even bigger surprises for car enthusiasts everywhere. But what brought the Shelby Cobra to the present, where Cobra kit car manufacturers value original models above all else? Keep reading to learn just a little bit more about the fascinating history behind this iconic muscle car. Carroll Shelby may have started as a race car driver, but his career truly began after a health condition forced him to retire from racing and get into something a little bit more technical. And so in 1962, the very first Shelby Cobra was introduced. It changed the way people looked at cars. The combination of a lightweight body -- weighing much less than the average 3,400-pound racing car -- small dimensions, and unrelenting horsepower created a phenomenon that took the sports car world by storm. When the first Cobra took off, Shelby knew the car has more potential locked away. So in 1964, he began developing the Shelby Cobra 427, which would be powered with a Ford big block seven liter engine and hold an estimated 450 bhp and over 600 Nm of torque. It may seem strange to pack so much power into such a small frame, but the release of both Shelby's 289 and 427 Cobras were massive successes. For many years, the Cobra 247 was the fastest American-made car on the market. It could go from zero to 60 MPH in just under four seconds, and from zero to 100 MPH in only 10.3 seconds. Unfortunately, the power and speed of this particular Cobra model were at a level of performance driving that many average car owners couldn't handle. As the years passed and Shelby Cobras were no longer manufactured, they grew even more popular. Considering that there were only 348 copies created between 1965 and 1967, competition to collect authentic models is fierce. As a result, Cobra kit car manufacturers have cropped up, making it possible for enthusiasts to build their own replicas. If there's one thing that Carroll Shelby left to the world, it was a love for American-made muscle cars. Who would have thought one of the world's most famous sports cars could have begun as a simple dream from a retired race car driver? In 1964, Jack Sears took his AC Cobra Coupe onto the famous British M1 motorway and changed the racing world forever. Sears was able to reach the record-breaking speed of 185mph. "There was an awful fuss," said Sears in an interview with AutoCar in 2014. "But it was all jolly unfair. Many teams were using the motorway for practice -- the Rootes Group, Jaguar, Aston Martin -- so it wasn’t something unheard of. And also, there wasn’t a speed limit at the time. We weren’t doing anything illegal because there were no limits." Spears, who passed away last year at the age of 86, was transformed into an international superstar thanks to all the media attention following the record speed. "I remember the engine being so strong. It kept pulling and pulling and I quickly hit 6500rpm and it simply wouldn’t go any higher," he added. "Once I told them [his team], they started working things out. Then they looked up with a smile and said to me: 'That was 185mph.' I thought that was most exciting; it was the fastest I had ever been." Certainly a lot has changed in the 53 years since Sears took to the British motorway, but the passion and love for Shelby Cobra vehicles has persisted. Vehicle enthusiasts appreciate a good muscle car, and those muscle car fans have the utmost respect for any Shelby Cobra that speeds past them on any roadway in the world. Unfortunately, only a handful of these custom roadsters exist, the majority of which are locked away in automotive museums. Over a six-year period, from 1962 to 1968, Carroll Shelby built only 654 small-block Cobras and 350 big-block Cobras. Luckily, replica car kits exist and are nearly as amazing as the originals. Shelby Cobra kit cars are available and can look and feel like Spears' 1964 original. These Cobra kits are fully customizable, as well, so you can even upgrade any parts as you see fit and install whatever engine, if it's worthy enough, into the replica. If you want to feel like you're driving a piece of automotive history, contact Backdraft Racing and check out their Cobra kits today. The car you drive says a lot about you. If you’re a hardworking construction worker and like to spend your time mudding and towing a fishing boat, it’s probably safe to assume that you don’t own a Prius (though there is nothing wrong with that if you do). You might have some other rugged vehicle for your everyday transportation as well as your out-of-work hobbies. There might be another vehicle in your possession, however, that says even more about who you are as a person, even if you don’t drive it too often. Owning a muscle car is an amazing experience that only a handful of people in the world can relate to. Some people just don’t get the love and appreciation for a classic car and that’s fine — but some certainly do. Others just don’t understand the importance of keeping these classic cars clean, fine-tuned, and, most importantly, away from anyone else who wants to drive it. You might let your kid drive the family vehicle up to the store to get groceries or even give them a used car when they turn 18, but it’s going to take years for them to finally earn enough points to drive your prized possession. Owning original muscle cars or high quality replica vehicles isn’t just some financial investment, either. It’s a fine hobby for vehicle enthusiasts that can be (eventually) passed down to your children. If you’re still not completely sold on the idea of owning a classic vehicle, first, take a look in your driveway. Now, imagine your favorite car that you used to dream about when you were a kid. Maybe it’s the 1964 Mark II Shelby Cobra, of which there are only 538 in existence. With a classic replica car kit, you can easily have that amazing automobile sitting in your driveway this summer for your enjoyment. Don't let your inner child down by not getting the car of your dreams. If you want to learn more about the benefits of owning a muscle car or check out some quality Shelby Cobra kit cars, contact Backdraft Racing today! The first 75 Cobra Mark Is, including the prototype, were fitted with an especially strong V8 Ford Windsor engine (260 cu in). If you've ever imagined yourself driving in one of these muscle cars as you enjoy the summer breeze, you've probably snapped out of it quickly enough only to find yourself cruising down the carpool lane in a minivan or an old sedan. as long as we know where to find a great kit car. There are amazing AC Cobra kits available that you can purchase, which will give you that feeling of amazement you have felt slowly slipping away since you were a little kid. Since Carroll Shelby only built a handful of small-block Cobras and even less big-block versions throughout the 1960s, the child in you is extremely sad that you can never enjoy driving one of those beautiful pieces of human engineering. Life as an adult is full of little disappointments, and the truth is you'll never get to drive one of those iconic cars. But with a quality Cobra kit, you can still enjoy the next best thing. Now, instead of daydreaming, you can order a Cobra car kit, head to your garage, and get to work. You'll get the satisfaction that comes from personally putting together the car of your dreams. Then, simply hop in and drive around the block, or the country, to your heart's content. Even better, you won't have to deal with the impossible maintenance and repairs that come from owning a classic, 1960s-era car. Unlike a vintage classic car, which has to be kept behind the garage doors, you can actually drive your Cobra. Another reason these muscle car kits are so great for vehicle enthusiasts is the ability to customize them. As long as you know how to do some auto mechanic work (and if you don't, you can simply take your vehicle to a professional repair or auto body shop), you'll be able to tweak certain aspects of your new kit car to truly make the perfect vehicle for you to enjoy. Stop feeling sorry for yourself just because you drive a boring car or minivan. Order a Shelby Cobra kit and get to work on your very own classic car. 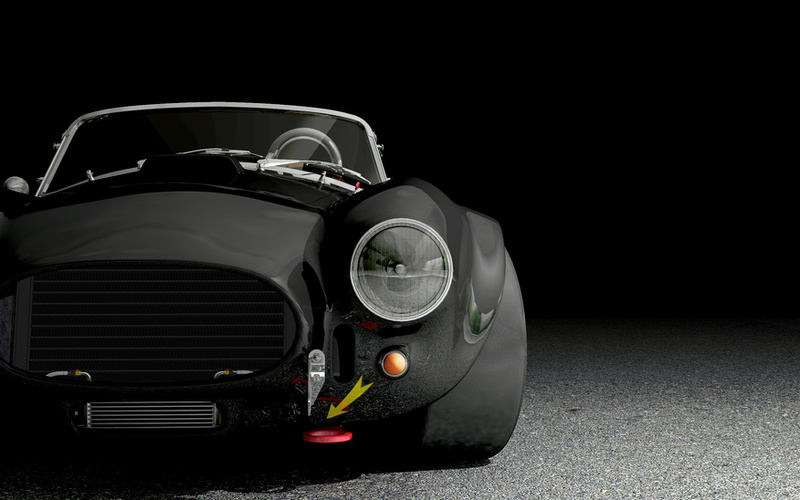 If you want to learn more about the benefits of AC Cobra kits, contact Backdraft Racing. If you're sick of just watching television on your couch all day and want to actually spend some time being productive, you should consider doing something that you really enjoy. It's too easy to fall into lazy habits as soon as you get a few hours to yourself because you work so hard during the day, but if you allow yourself to do something you love in those precious hours, you'll actually feel even more energized afterwards. Here are a few excellent hobbies to get into this year. Working on a replica car kit -- Haven't you always wanted an awesome muscle car or custom roadster? With a replica car kit you can get a great one for a fraction of the price. Perhaps your dream car has always been a 1960s big-block Shelby Cobra, of which only 350 were ever manufactured between 1962 to '68, you're probably not going to be able to come up with the insane amount of money to afford one of your own, but you can absolutely acquire a Cobra car kit. 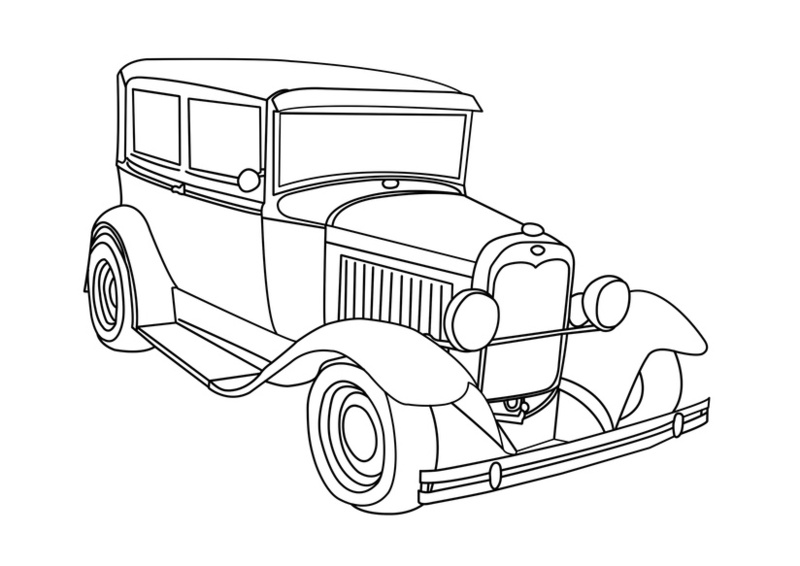 Working on these car kits is a great way to spend your time and learn a thing about vehicles, too. Brew your own beer -- Brewing your own beer has been gaining a large following over the last few years. Beer brewing a popular hobby because it involves one of the greatest things in the history of the world: beer. But it's also a lot of fun because it'll give you a sense of accomplishment afterwards. Start collecting vinyl -- The vinyl industry was nonexistent, then it peaked, then went away for a while, then came back, then died forever, and then came back stronger than ever. It's been a confusing trend to follow, but one thing is for sure: vinyl produces the highest quality sound imaginable. Whether it's your own record collection from back in the day or you just want to start collecting newer vinyl now, it's a great hobby to get into. Build your collection of excellent records and listen to some of the best music ever recorded. Don't just let your lazy feelings overcome you and prevent you from doing something you love. Work on a replica car kit, brew your own beer, start collecting vinyl records, or do anything else other than sitting and watching TV. Enjoy yourself! If it weren't for Shelby Cobra kit car manufacturers, there would only be a few lucky souls driving a Cobra. One of the most popular vehicles of all-time, only a handful of Cobras have ever been built. Over a six-year period from 1962 to 1968, only 654 small-block Shelby Cobras were built and, even fewer big-block versions were built at 350. One of the most replicated vehicles in the entire world is the AC Cobra. If you ever see one of these cars parked at your local grocery store, cruising around the neighborhood, or passing you on the expressway, you can revel in its beauty, sure, it'll be hard not to, but you should know that it's most likely a replica. That doesn't mean it's not special, however. Original AC Cobras are simply too rare and too expensive for anyone to own who isn't in charge of some small country or kingdom. Ordinary people, from middle class to even the very wealthy, who are also classic car lovers would much rather save the money and drive replica copies of their favorite rides. Thanks to Backdraft Racing, Josh Vollmer, of Cicero, New York, now owns a fully replicated AC Cobra that was put together in South Africa. "I wanted one of these cars," said Vollmer. "I loved the AC Cobra and thought that someday I would have one." According to Syracuse.com, the engine Josh selected to install is a Ford 347 stroker, his Cobra's wheelbase sits at 90 inches, the length of the vehicle is 153.5 inches, and is 45.3 inches tall, and 67.5 inches wide. Although Vollmer received his complete vehicle from Cobra kit car manufacturers, if you've a serious classic car lover and want to begin a productive, creative, and practical project, building your own replica from scratch, with just the chassis and the rest of the replica kit items spread out around your garage, can be a lot of fun. Don't think that just because you're not a billionaire that you won't be able to drive your dream car one day. If you want to ride down your local roads in an AC Cobra, there is still time. 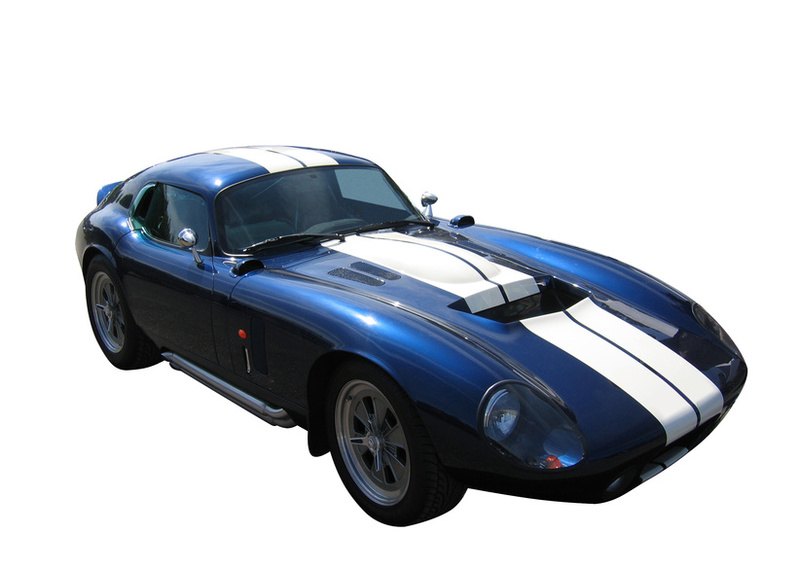 If you want to contact Cobra kit car manufacturers, talk to Backdraft Racing today. 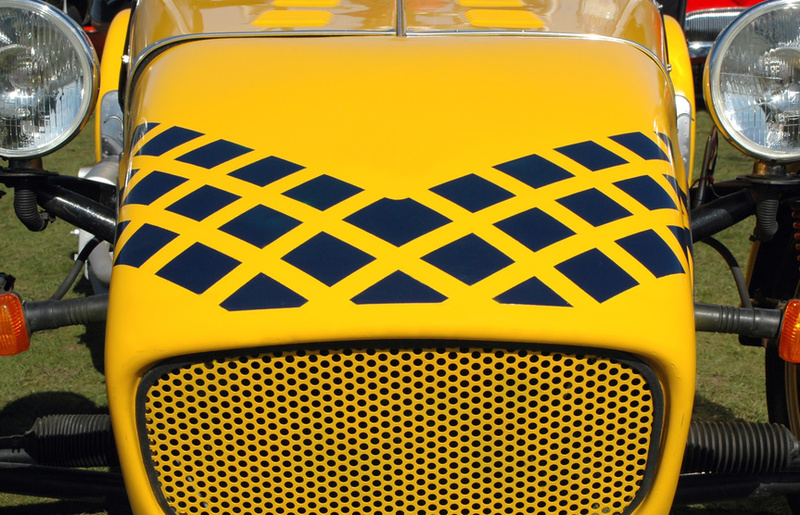 Which Classic Roadster Is the Perfect Kit Car for Auto Enthusiasts? 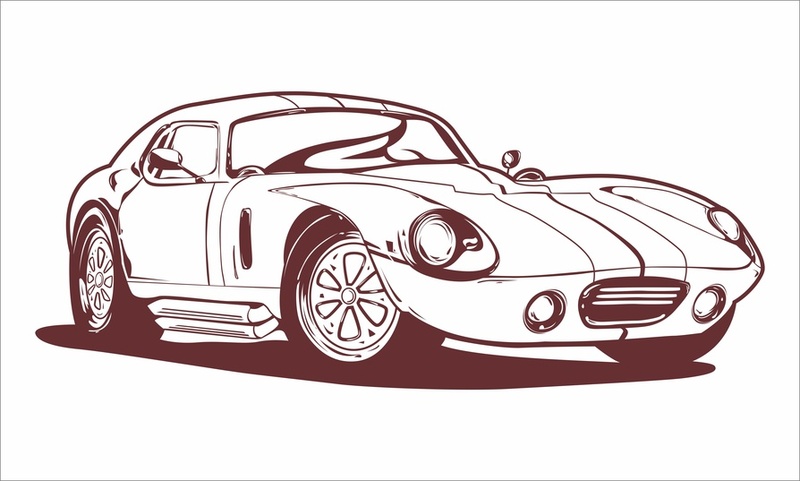 What do you picture when you hear the term “kit car”? Is it a compact roadster with a classic, swooping silhouette, racing stripes, and enough power to knock you off your feet? Chances are you’re picturing the Shelby Cobra. The Shelby Cobra kit car’s iconic, swooping body lines have remained unchanged since the initial production of the British roadster. It’s the gorgeous design of this car that many auto replica and racing enthusiasts consider to be its greatest asset. 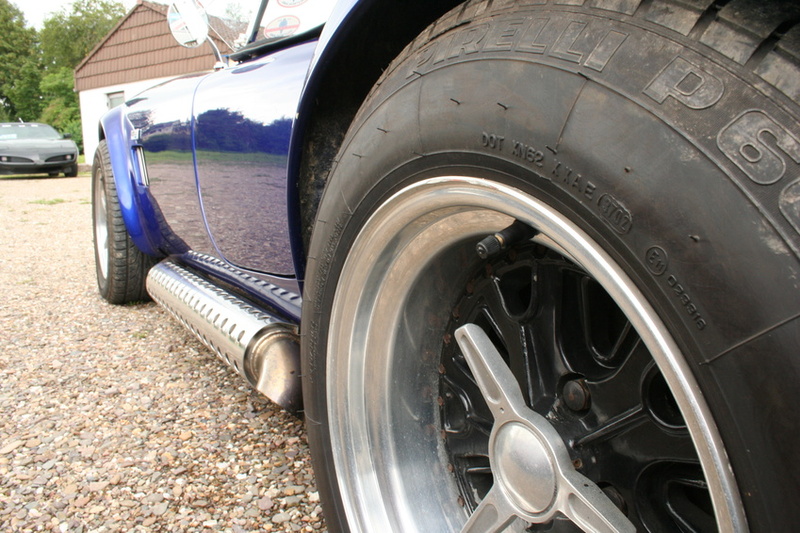 The classic body design also lends itself to a unique power-to-weight ratio. While some racing cars tend to weigh up to 3,400 pounds, Cobras are known for being much lighter. This gives it the ability make 400 horsepower feel even more powerful. With a Cobra kit, you have the option to throw in a variety of different engines -- V-8, V-6, electric -- which gives the car a power-to-weight ratio you may not have ever thought possible. The engine isn’t the only part of the car you can switch up. Whether you’re on the track or just cruising around town, your Cobra can be as unique as you are. With this kind of kit car, you can choose any color, striping, chin spoiler, etc. to make your Cobra one of a kind. Of course, you can also go for the classic, vintage Cobra look. If you’ve ever dreamt of building your own car, the Shelby Cobra kit car is the package for you. They are fairly straightforward to construct, so even a beginner can do it. It doesn’t include any advanced electronics, and the instructions are easy to follow, making this compact roadster one of the less labor-intensive DIY kit car projects out there. It’s easy to see why this small but powerful roadster is a favorite among car enthusiasts and replica-lovers. The construction process is easy and the car’s performance is unparalleled. 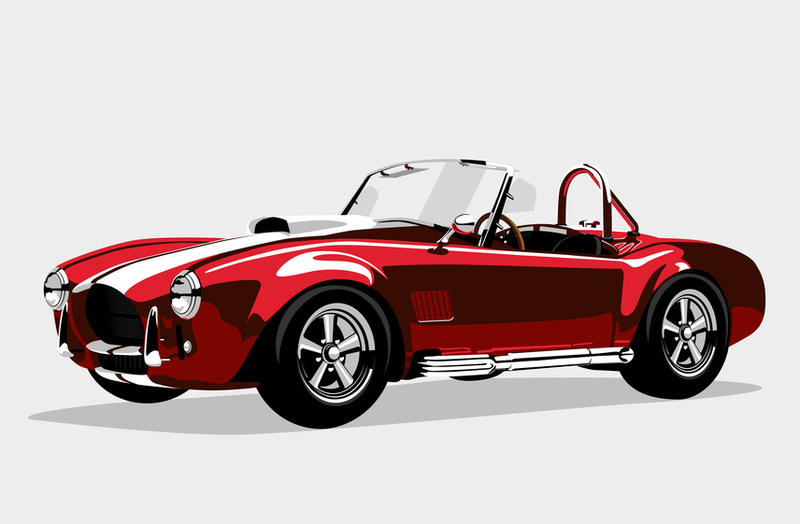 If you’re new to the scene, the Shelby Cobra is the perfect kit car to get you started. Authentic replication vehicles are great for vintage car collectors who might not be so eager to spend a fortune on the real thing. Plus, classic cars are classic for a reason, and they can be nearly impossible to find, even if you happen to have seven-figure sums to spare. Carroll Shelby, for example, only built 654 small-block Cobras and 350 big-block versions over a six-year period from 1962 to 1968. Purchasing one of those 1,004 vehicles, if you can even find them, might be extremely expensive. Authentic replication Shelby Cobra kits, however, are much more cost friendly and look just as great as the originals. Not only that, but according to Classic Cars, the idea for authentic replication continuation vehicles is attributed to Carroll Shelby himself. In the 1980s, Shelby Automotive began building cars to order using the original chassis design. Many of these cars were manufactured with either aluminum or fiberglass, and all of them carried an original Shelby CSX chassis number. "These cars are great because they pay tribute to the heritage of these companies the models which marked a high point for them," said Don Rose, a car specialist for RM Sotheby and owner of a period-built DB4 GT. These custom model cars "remind people just how potent and special these cars and companies that built them are," Rose added. Unlike Jaguar and Aston Martin, Shelby Cobra has no production limitations and can create whatever product the customer needs to replicate whatever vehicle they so love. Authenticity -- Because replicas are nearly identical to the original, just about anyone you drive by will not be able to tell the difference. Even gear heads who love cars more than anything will have trouble differentiating a Shelby kit with the real one. If you truly love your replica car as much as you should, even you won't be able to tell the difference. Performance -- Muscle car replicas and other high performance vehicles actually can perform just as well as their originals. Because they drive so well, many manufacturers have to actually downplay their vehicular capabilities in order to please insurance companies. Flexibility -- There are so many customizations that are possible thanks to replica vehicles. You can increase the size of the rims, improve the look of the spoilers, and do whatever you want with the grills to give it the exact look you want. 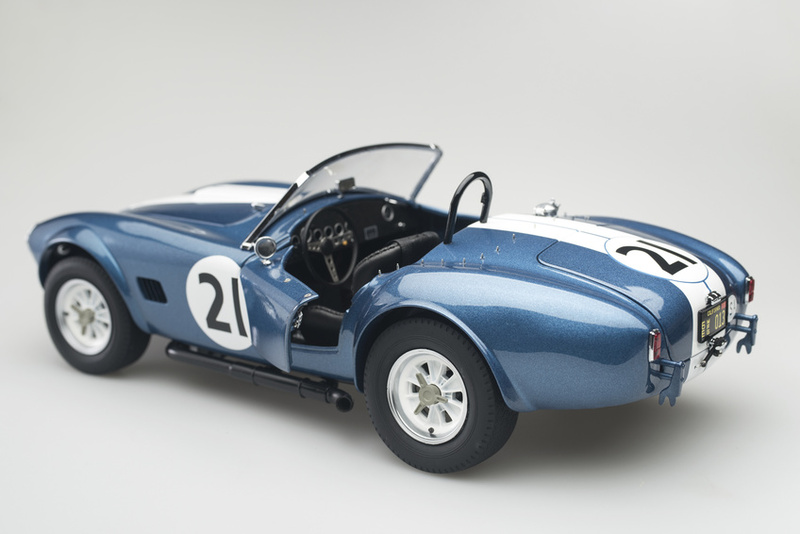 Plus, did we mention that authentic replications and Shelby Cobra kit cars don't cost seven figures? In 1964, a groundbreaking new muscle car would go on to international fame after breaking 186 miles an hour on a British motorway. The car was the Shelby Daytona AC Cobra Coupe, designed by legendary driver and auto designer Carroll Shelby. Today, 52 years later, a Carroll Shelby Mustang GT350, a vehicle that was used in Shelby's driving school, is up for sale for only $1.2 million. "People don't buy a car for what the sheet metal looks like," said Mark Logan, an expert on Shelby vehicles. "They're buying the story behind the car. That's the appealing part of this one: why it was used, where it was used and who drove it. And the fact that it was one of the three that Carroll had at the driving school." The Carroll Shelby School of High Performance Driving, America's first ever racing school, featured this very $1 million Mustang. After winning Sports Illustrated's "Driver of the Year" award in 1957 and 1957, Shelby, alongside partner and friend Pete Brock, opened the Goodyear Racing Tire Distributorship that evolved into his own high performance driving school. According to Classic Cars, Shelby ran his revolutionary driving school at Riverside International Raceway in California, where he taught movie stars, fashion models, future racing stars, and regular car enthusiasts how to drive like the best. "This particular car was used to teach people how to drive a race car," Logan added, referring to the newly for sale Shelby Mustang. "There were a lot of stars back in the day that spent time behind the wheel of this one. Jim Garner was one of the people who learned to drive in the car, among others." To the untrained eye, or someone who isn't exactly a car enthusiast, the car isn't worth as much as its price tag. But to the vintage Shelby collector, or a vehicle lover who has a soft spot for historically significant racecars, this Shelby is a gold mine. For most people, however, spending over $1 million on a vehicle just isn't feasible. The best alternative? Purchase an identical Shelby Cobra car kit. 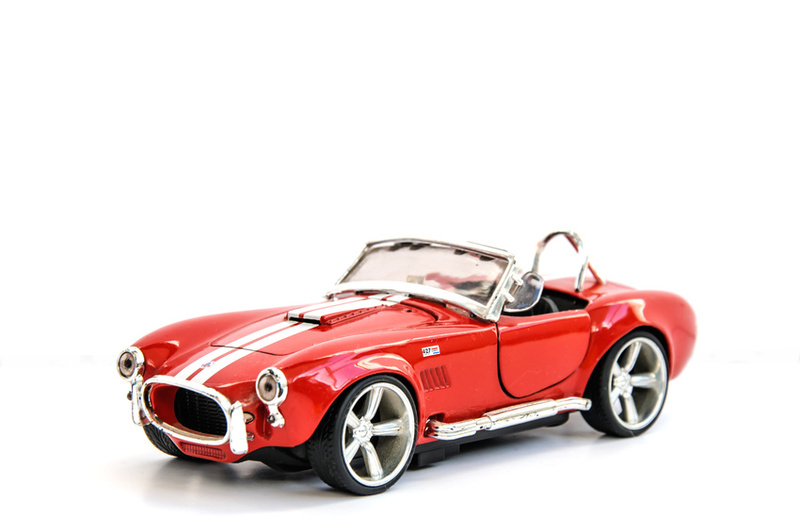 These Shelby Cobra kits are great for Shelby lovers who are more realistic about their spending habits. Of course, if you have a few million dollars sitting around, definitely go for it. For everyone else, there's the Shelby Cobra car kit. Want to learn more? 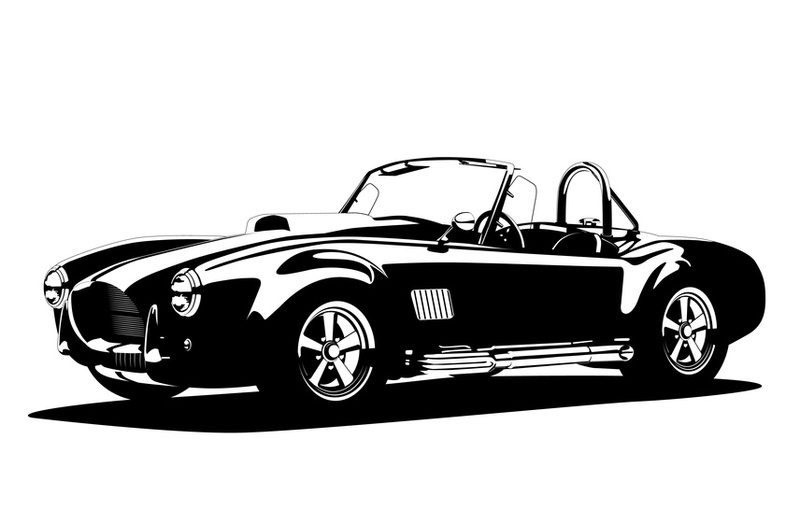 Contact Back Draft Racing and discover our classic Shelby Cobra car kits today. Everyone has a favorite car, even if it's something cliche like the "Back to the Future" Delorean. Some people like more modern futuristic vehicles that are just being released as concept cars and some people have a more classic taste. Muscle cars, for instance, have an extremely large following. Many people wish they could go back in time and somehow afford a Shelby Cobra big-block, of which there were only 350 made from 1962 until 1968, or one of the 654 small-block Cobras, but, sadly, that can only happen in your wildest dreams. There is still a way for these Shelby Cobra enthusiasts to get their hands on their very own dream car, though. After the passage of last year's replica car bill, which was tucked into the $305 billion highway spending bill, it's easier than ever to order vintage car kits. Replica companies are now able to sell up to 325 reproductions of a vehicle model that's at least 25 years old. "With this new law, Congress has demonstrated that it understands the importance of enabling U.S. companies to produce classic-themed vehicles that are virtually impossible to build under the current one-size-fits-all regulatory framework," said Chris Kersting, President and CEO of the Specialty Equipment Market Association (SEMA). "This program will create auto sector jobs and meet consumer demand for cars that help preserve our American heritage." According to AutoBlog, SEMA, which was founded in 1963, backs the $36 billion specialty automotive industry and is the authoritative source for research, trends, data, and market growth information for the specialty auto parts industry. "This law gives enthusiasts the opportunity to buy turn-key replica cars while preserving their option to build one from a kit," said Doug Evans, SEMA Chairman of the Board. "It recognizes the unique circumstances associated with limited production replica vehicles, such as the '32 Roadster and '65 Cobra, which are primarily used in exhibitions." Now those people who might've been children in the late '60s wishing they had their own Cobra in their garage can do just that. They can have a Shelby Cobra kit with a full powertrain that, up until President Obama signed the highway bill, had to be installed manually by the customer. Custom car kits certainly aren't for everyone, but for vintage muscle car enthusiasts, they are the only item in the world that comes close to the real thing. If you want to learn more about acquiring your very own Shelby Cobra car kit, check out BackDraftRacing.com.